Every town has its own specific rules when it comes to recycling. But with certain items, it’s pretty universal. To achieve significant improvements we need to sort our trash mindfully. It may take a little extra effort but if we all get on board, the impact can be considerable. 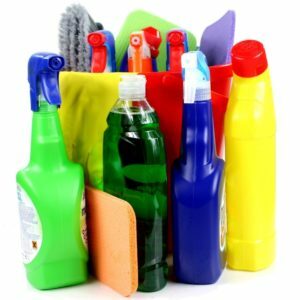 Following are some basic dos and don’ts for common household items; and check out the links for the safe disposal of some less common items. If you haven’t yet kicked the single-use plastic water bottle habit, keep recycling the bottle but check with your town about the cap. Some towns will take them, and others won’t. Fact: Every drop of water that will ever exist on our planet is already here. 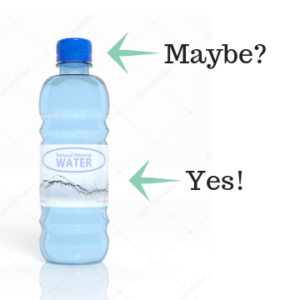 When water is left in a capped plastic bottle that is not recycled, it could take thousands of years for that trapped water to find its way back into the water cycle. Fact: The average time a plastic bag is used is 12 minutes. It takes a minimum of 500 years for it to breakdown in a landfill, becoming thousands of microplastic pieces that that absorb toxins and continue to pollute the environment. All other batteries: These are considered “Household Hazardous Waste” and you must check your town website for drop-off locations. Fact: Most rechargeable batteries can be charged up to 1000 times when appropriately used. That means that you won’t be throwing as many of them away compared to using single-use ones. A pizza box requires some inspection because it can be greasy. But it’s a big box. If the bottom is greasy or dirty but the lid is clean, simply tear off the lid and recycle it. Then trash the bottom piece. 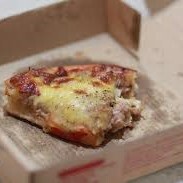 Fact: Pizza boxes are among the most common offenders when it comes to contaminating recyclables. Cleaning supplies. Use them up or give them away to a neighbor, local charity, church, or homeless shelter. Most household cleaners can be poured down the drain, but be sure to look for specific disposal instructions first. Then properly dispose of the container. Fact: You can make a big difference to the lives of people in need by donating your usable products like dishwasher detergent, surface cleaners, and bleach. Single-use plastic straws and stirrers cannot be recycled, they just sit in a landfill. What’s the best way to eliminate this problem? Decline straws in restaurants and add your cream and sugar before pouring your coffee into your cup. 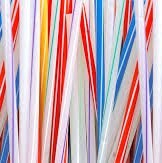 Fact: Over 500,000,000 plastic straws are used each day in the United States. Remember the three R’s – reduce, reuse, recycle. “Reduce” and “reuse” come before “recycle”. While recycling is necessary, it uses costly energy which still contributes greenhouse gases into the atmosphere. Reduce your consumption of unnecessary items and try to reuse items before throwing them into the recycle bin. Rinse your recyclables – washing out food scraps or oil can be just as important as putting the right thing in the recycling bin. When dirty containers are then mixed in with clean recyclables, the entire batch containing thousands of pounds of items becomes contaminated and is sent to the landfill. Labels can stay – you do not need to remove them from containers before tossing them into the recycle bin. Do not put your recyclables in plastic bags – place them loosely in your curbside recycle receptacle. Proper recycling saves energy, resources, and landfill space. Recycling programs are managed at the state and local level – find information on recycling in your community. epa.gov/recycle – Learn how reducing, reusing, and recycling can help you, your community, and the environment by saving money, energy, and natural resources.